Hello i would like to make suggestions for next release of Affinity Designer. b- Please improve or standardize your SVG output, because those created with ADesigner are black or black when they are opened on other software. c- 3D fx/Emboss fx should be improved too, they are great but they often requires a lot of attention and tuning before it's okay, some standard 3D/Emboss profile/Preset would be of great help for those who like Auto things and the others will keep their By Hand stuffs. d- Clipping mask should be less hard to find or to do but more accessible, adding a button in the bar can be of great help. e- Please improve fonts loading on software start (we are not all using 37 fonts only ). f- the Place tool should be improved, it sometime loose the ration (even shift key pressed doesn't help to maintain it). g- Make it possible for noise to be added into a simple single color, it works on gradient but ... it should also be available for simple color. h- Accessiblity to Compound Path function need to be improved here too, a button in bar when 2 objects are selected should help. i- Artboard tool must show more options and sizes than what we currently have. j- the Pop-Up system used to display the name of a tool or a functionality should be improved to also show a quick description of what the selected tool can do. k- we should be able to round a sharp corners using the corner radius both in/out, sometime it's hard to get the correct curve because the tool make it possible in or out only, both sides should be great. l- Please make the bleed visible (red line or yellow doesn't matter) for with/without Artboard created. 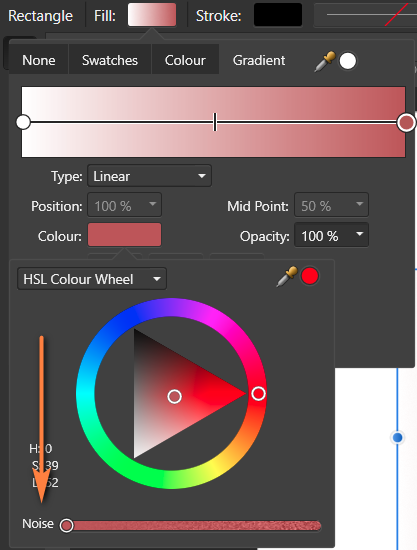 m- Color Picker tool should be able to pick gradient too and not just a single color, here couples of small buttons should be added in the bar and displayed when we select the color picker tool, enabling us to select gradient ON/OFF single Color ON/OFF. Well a long list but i've put everything here, those who know how to achieve this or that are welcome. 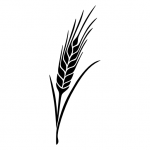 @MEB you know Affinity far better than most of us here, your inputs are welcomed. To all, point me to where solution was brought and i will kindly jump there. I would like to support squircle. f﻿- the Place tool should be improved, it sometime loose the ration (even shift key pressed doesn't help to maintain it). 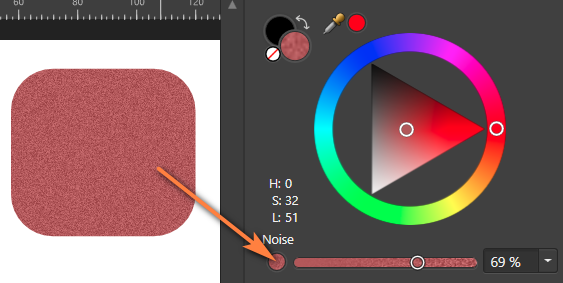 g- ﻿Make﻿ it possible for noise to be added into a simple single color, it works on gradient but ... it should also be available for simpl﻿e ﻿c﻿o﻿lo﻿r. I thought I already posted a reply to these points several hours ago! f- When I use the ‘Place Image’ command, the aspect ratio is maintained without my needing to use the Shift key. g- Noise works as expected for me, on both solid and gradient fills. It has no effect on a bitmap fill (but again, that is as expected). can you please indicate me where it is dear. I’m afraid you’ve misunderstood. I said I thought I had posted a reply: either I forgot to press the ‘Submit Reply’ button or I did actually submit my reply but it subsequently disappeared. My other post that you can see in this thread is essentially a repeat of what I wrote earlier, addressing only the two points (f & g) that I quoted. Okay i see, please share here how would you add noise to solid colors. I'm interested to learn that (i've searched bu cannot find how to do that). In your earlier post you said “it works on gradient”. The steps you followed for that should also work on solid fills. I also have no problem with it. You may have trouble switching to noise definition - click Opacity. In the gradient definition, the noise is available directly. Yes, without Shift = aspect ratio, with Shift = non-aspect ratio. As described in the status bar. What should be set up? The problem is, that they are menu items, for which hint/tooltip is not usually displayed. Hello @Pšenda sorry for replying so late. In fact, while learning the software i noticed there are a lot of stuffs which are kind of hidden and a bit hard to find but in the same time they are really useful. Concerning the Artboard thing, i meant would it be possible to tweak the menu we have when we make use of artboard tool ? See making the right panel more dynamic to show switch between current tool set to selected tool functions like we see with the iPad version will make it even better. Yes on iPad you see icons and you have to figure it out but on desktop it would be great to have the same kind of thing (not the touch UI) which will make things more accessible. Let say i was working on pen tool then i decide to create a new artboard, by clicking the artboard tool, the right side panels would change, switching from global set of tools functionality we see by default and display everything related to Artboard tool. i appreciate what we have but making less use of the top bar can help so much. Sorry i have no image to show you but i just hope you will understand what i mean here. Hello @Pšenda ... found it. Here i suggest the presets to be added to the already existing presets making it more complete and easy to find and use for web peoples or even if not possible to implement yet, then please make it possible for us to enrich our presets by adding the save Preset function/Button or something else but a possibility for us to create more presets and save them.